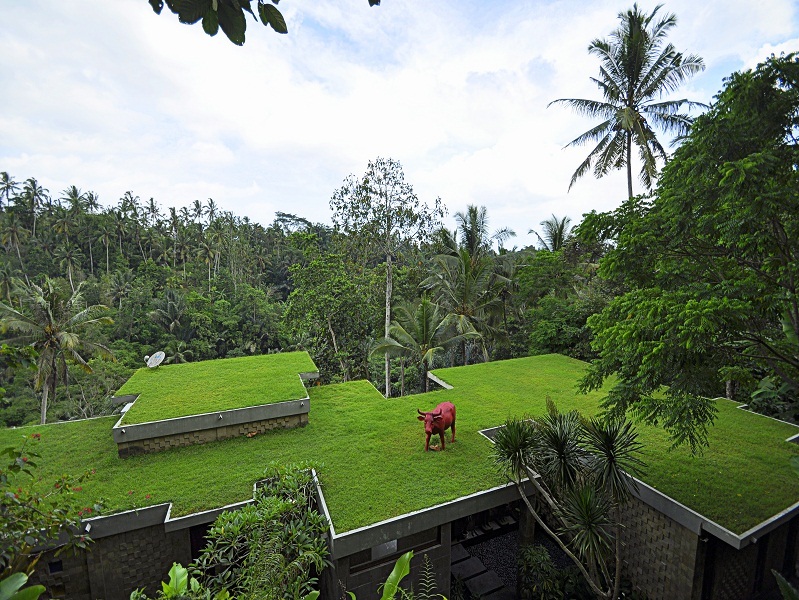 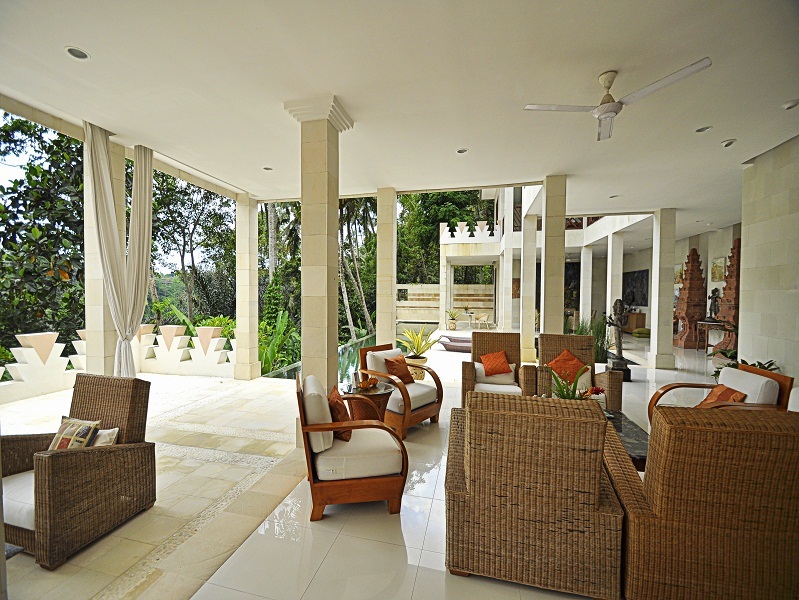 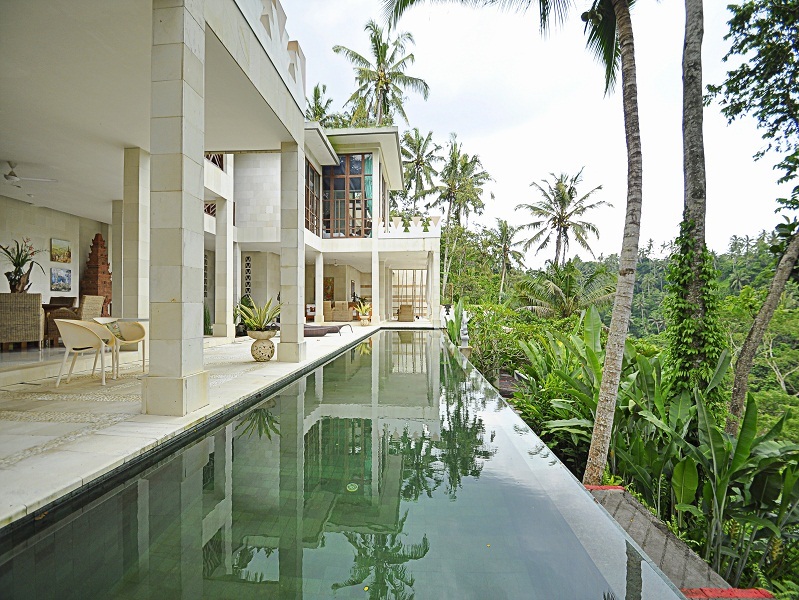 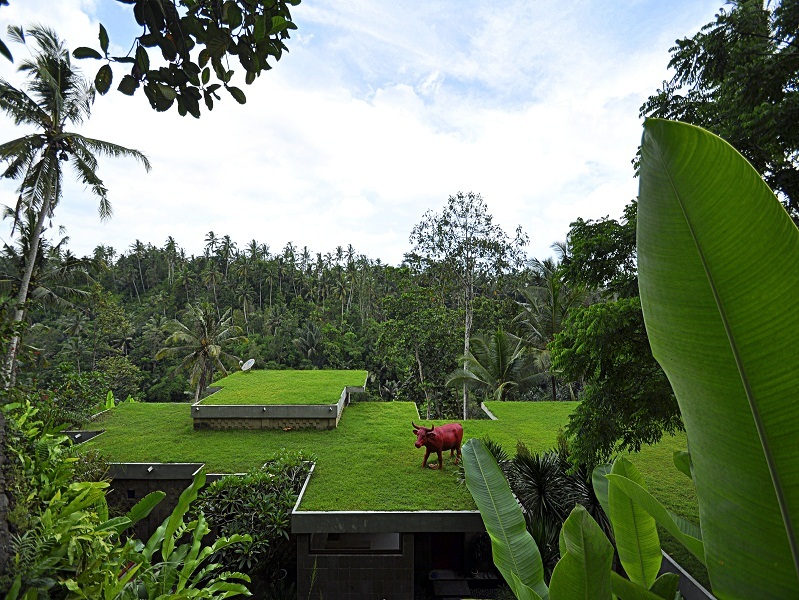 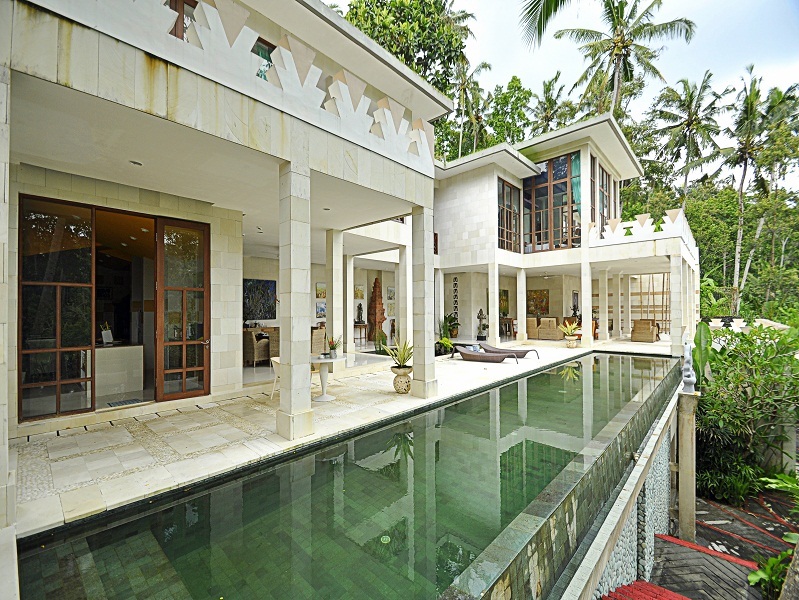 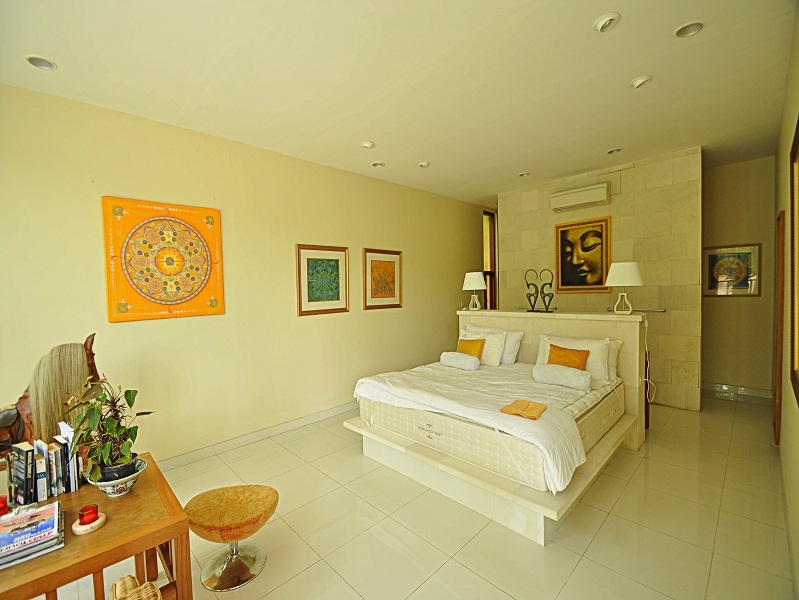 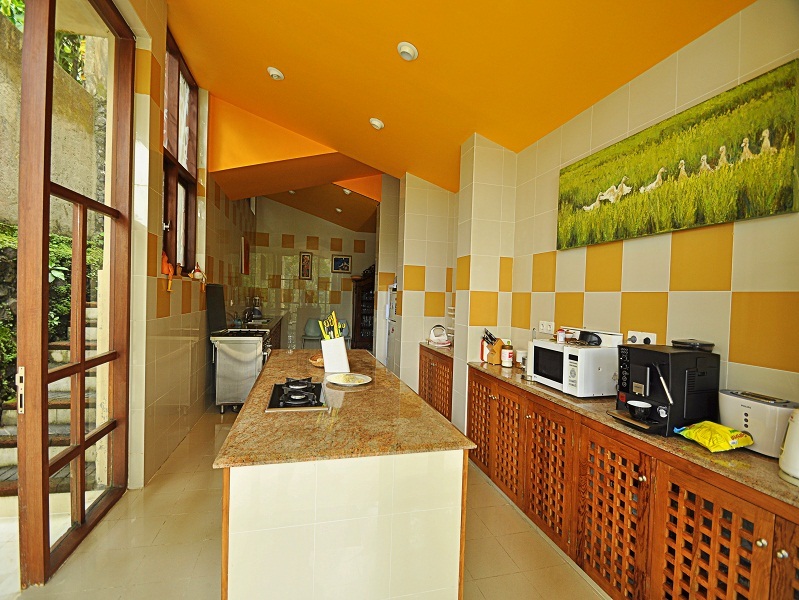 This beautiful 3 level freehold real estate is located in a beautiful neighborhood of Ubud. 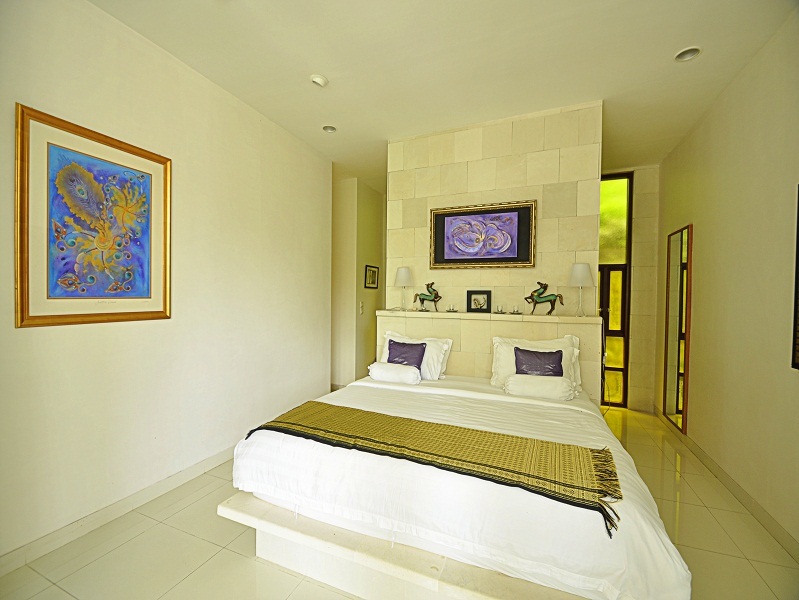 Featuring 3 en-suite bedrooms and 4 bathrooms, this villa has a great design with amazing furnishing, decor and luxury. 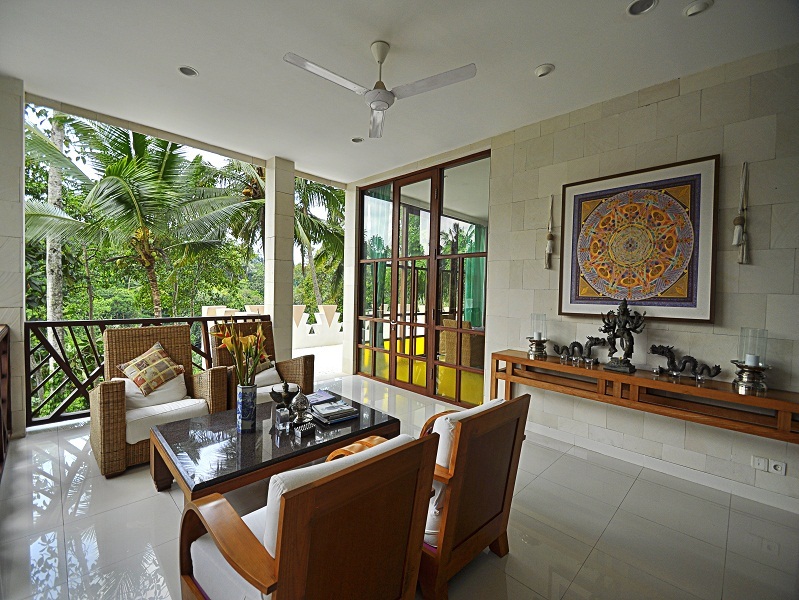 This property offers you great views from 2nd and 3rd level through the coconut trees, big lush green garden, an infinity size swimming pool, separate rooms for storage, staff and office, internet facility throughout the house, studio room, telephone lines and a private parking space. 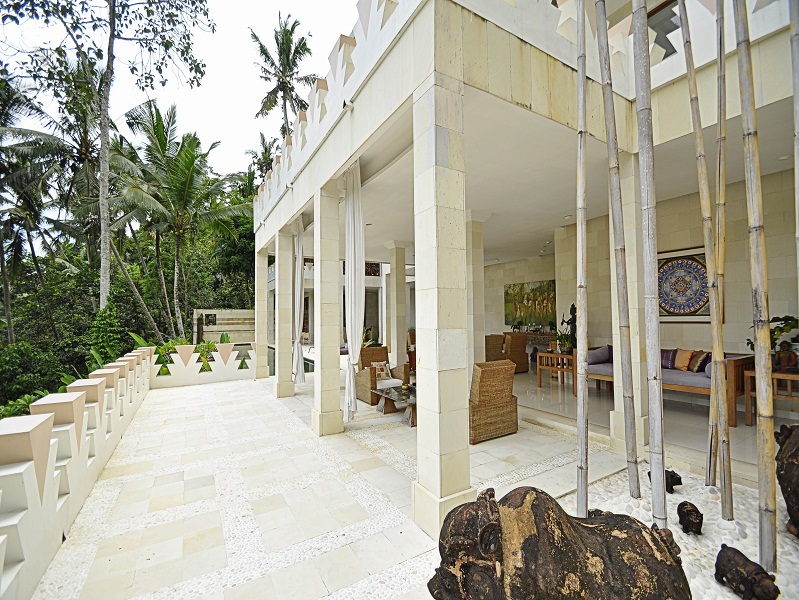 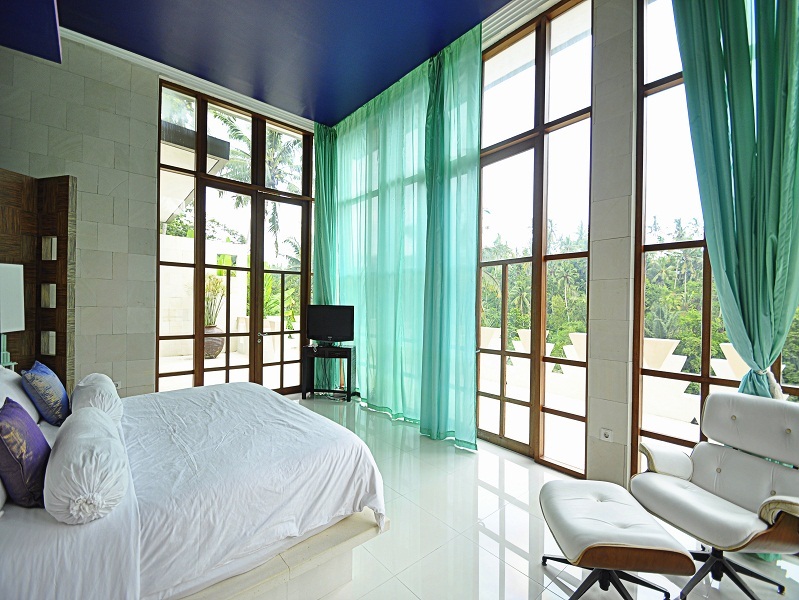 This is one of the most gorgeous option available for sale on Bali's market. 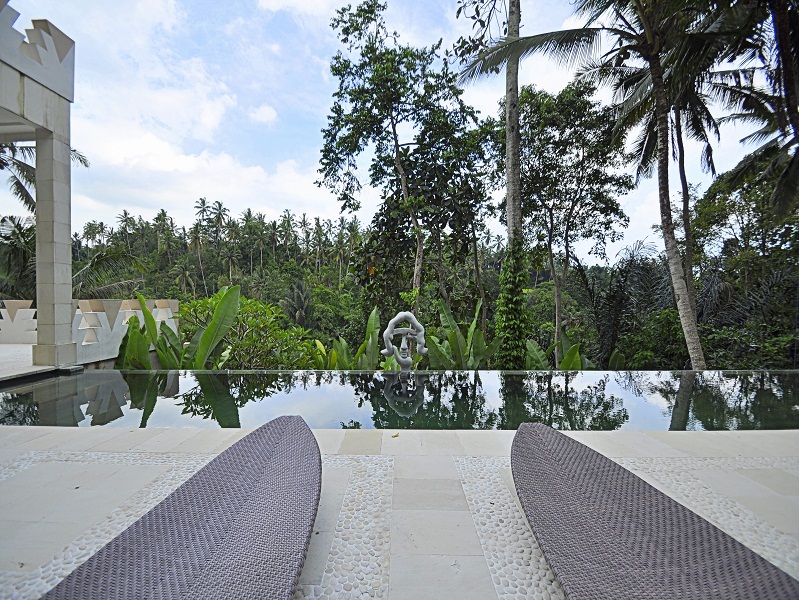 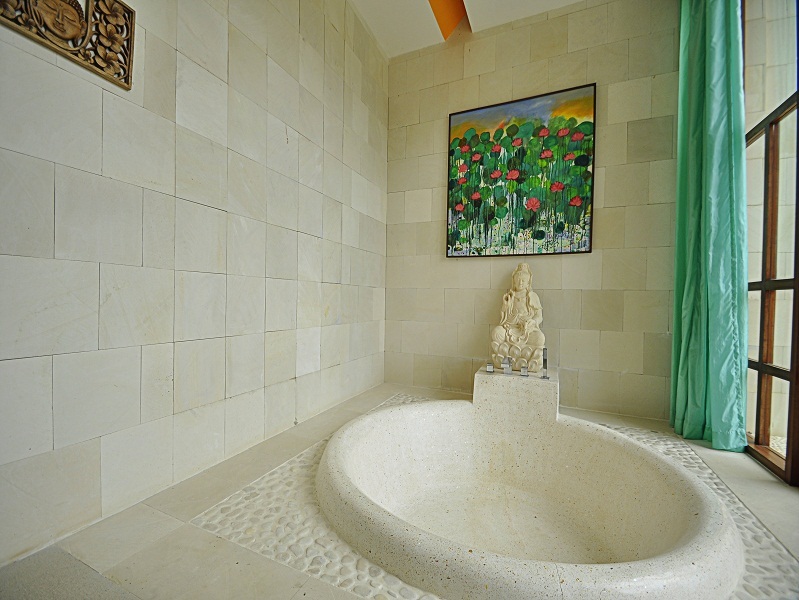 A must buy because of the central location minutes away from Ubud.